5.5x7.5 inches. With Danny Gill. Learn killer blues licks in the style of Gary Moore, one of the UK's finest blues-rock Guitarists! Also includes a blues Guitar jam track. Guitar lessons by Danny Gill. 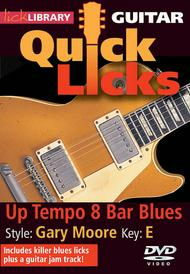 Each Quick Licks DVD includes an arsenal of licks in the style of your chosen artist to add to your repertoire, plus backing tracks to practice your new licks and techniques. In the key of E. Learn killer blues licks in the style of Gary Moore, one of the UK's finest blues-rock Guitarists! Also includes a blues Guitar jam track. Guitar lessons by Danny Gill. 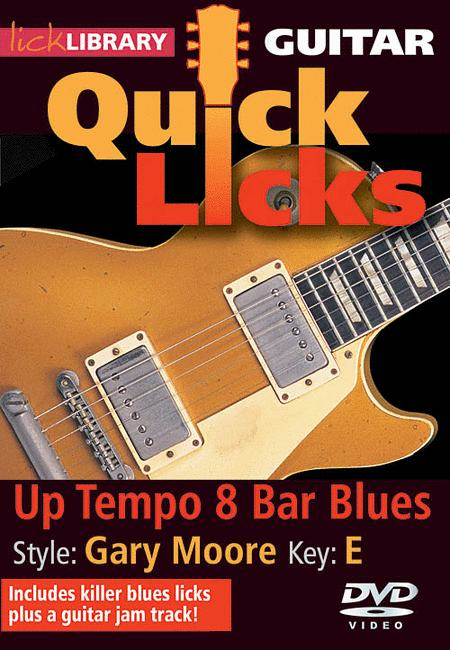 Each Quick Licks DVD includes an arsenal of licks in the style of your chosen artist to add to your repertoire, plus backing tracks to practice your new licks and techniques. In the key of E.